I just finished 5 small bird windows for a residence in North Carolina, and they will be flying down there this week (probably with FedEx). 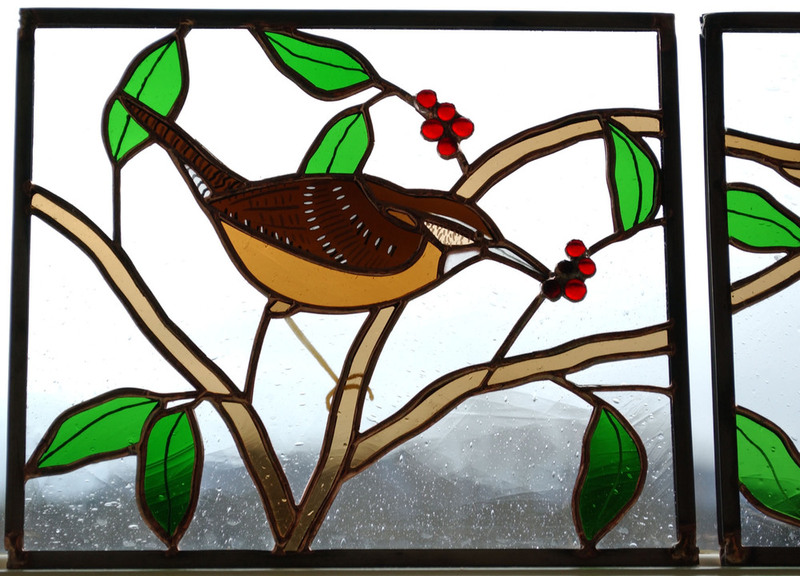 The birds are all seen locally in that area, and in the windows, they all perch on branches with leaves that flow from one window to the next to create a cohesive design. I'll show you one a day. Think of it as your glass vitamin this week.